Mite infestation or “Mite Flare” is caused by using older insecticides such as imidacloprid. It is a problem with both soil and tree injection. Mites are not insects and this insecticide is well known to cause an increase in mite fertility (fecundity). Premature defoliation is a typical symptom, this can occur as early as late December; leaf undersides appear spotted with mite excrement, upper leaf side has a yellow spotted appearance due to chloroplast decline. Please let us know if you have this problem as we can treat it with newer chemistries. These Echuca Street trees were not treated by us. Tree injected on September 3rd, 2009 by a competitor using imidacloprid within label rates. 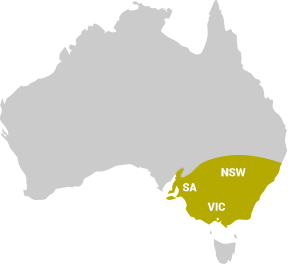 Campaspe Shire council has now engaged Elmsavers to rectify this problem. Leaf closeup, mite activity throughout. Treated by Elmsavers on June 22nd, 2011 with newer chemistry lines that control both elm leaf beetle/fruit tree borer and mites. 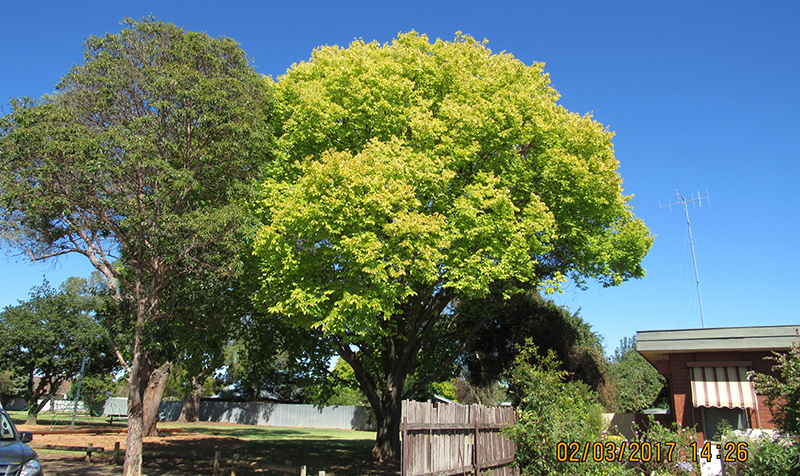 No mite or beetle/borer activity was detected; all shire trees are covered by our guarantee. 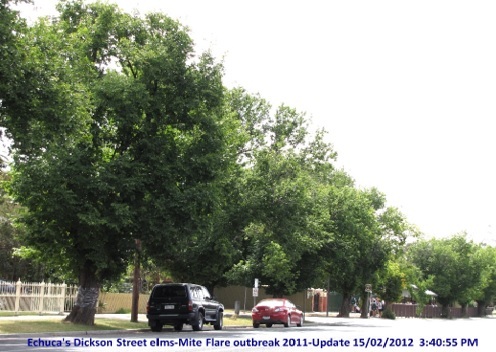 Campaspe shire and Elmsavers now have a street tree pest and disease program in place for all tree species. Next Next post: Beware of unscrupulous arborists!